Is Your Investing Too Emotional? 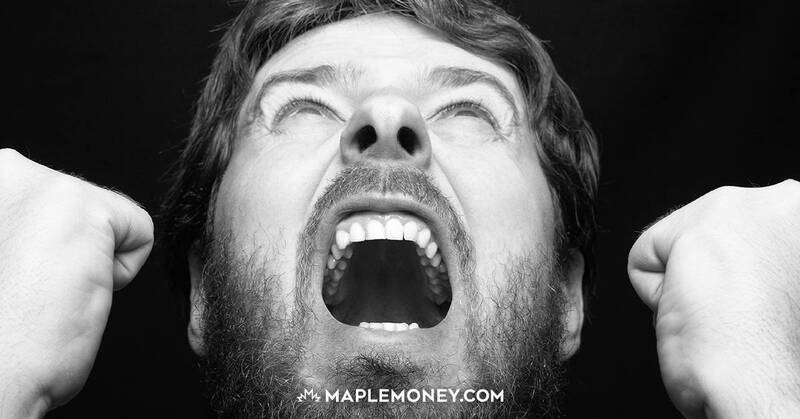 One of the problems that many Canadians have with investing is that they become too emotional. A survey by the Bank of Montreal a few years ago found that two-thirds of Canadians have a hard time keeping their emotions in check when they invest. While it’s impossible to get rid of emotion altogether when any type of money decision is involved, it is important to do what you can not to let your emotions overrule you when you make investing decisions. It’s especially important not to let fear rule you when you make your investment decisions. Fear is one of the strongest emotions that we feel. As a result, it can prompt action quickly if you don’t get it under control. One of the most dangerous effects of letting emotion rule your investment decisions is panic selling. When you let fear overcome your good sense, you might end up selling when an investment is low. While there are definitely legitimate times to sell a losing investment, the fact that you are giving in to panic is not one of them. Instead, look at your investment, and evaluate why you want to sell. Is it because something fundamental has changed about it? Or is it because the market is tanking and everyone around you is selling, and you’re afraid? Take a step back and look at your motives. Don’t sell just because you’re afraid. You need to come up with a good reason to sell. If you can’t explain why you are selling, other than that you’re scared about losing more money because things are tough, then maybe you need to reconsider. Another problem, though, is exuberance. When you are too excited about something, it can lead you to ignore the true merits of an investment and sink more money into it. Another problem with investing when you are caught up in the excitement is that it can lead you to buy at a high price. If you are excitedly buying because it’s a “sure thing” that everyone else is buying, there is a good chance that you aren’t getting the best value for your investment buck. Before investing, consider the merits of the investment. Look at whether or not it is a value investment, and consider the fundamentals of the investment. You also want to consider the long-term staying power. Getting excitedly involved in today’s “hot” investment can lead to problems later. One of your best options is to make an investment plan. Think about what you want your investment portfolio to accomplish, and consider what is likely to best help you reach your goals. Consider asset allocation, as well as individual investments. Take the time to get to know what makes your investments “tick”. That way, you’re more likely to understand what you’re doing. A plan can also help you stick to your guns when emotion threatens to overwhelm you. While you might need to make some tweaks to your plans, there’s no reason to overthrow them completely in most cases. Your plan can help you stay on track, and help you overcome emotion. If your investing is too emotional, take a step back, consider your situation and goals, and then try to evaluate things without the same level of emotion. Keep your emotions in check, and you’ll be a better investor. Tom Drake is the owner and head writer of the award-winning MapleMoney. With a career as a Financial Analyst and over nine years writing about personal finance, Tom has the knowledge to help you get control of your money and make it work for you. 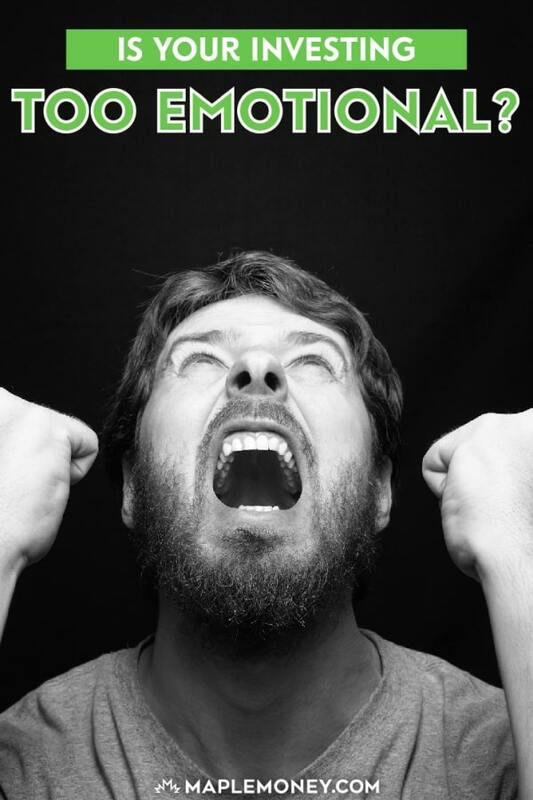 It’s a very important point, letting exuberance get in the way of your investments. It’s something I see with real estate all the time, whether it’s at an auction house or buyers simply going higher and higher in price for their dream home. The most ridiculous situations I find are when an “average” home suddenly becomes someone’s “dream” home simply because someone else wants it more. Nice post Tom, well-written. Keeping investor emotions in check is not limited to north of the border, I deal with this quite often here in the U.S.
Usually everyone will be very emotional, As they will be worrying about the benefits and the amount. Neither a man nor a crowd nor a nation can be trusted to act humanely or to think sanely under the influence of a great fear. I have seen far too many people sabotage themselves by giving in to their fears. Every investor should have an Investment Policy Statement that includes a proper risk profile. If you are a DYI investor – you can properly evaluate your financial risk tolerance here. I’m too nervous to invest money. I just feel there is too much to lose. But I also know that if I don’t invest, I won’t see any gains from money just sitting in a bank account. I think this is excellent advice, especially for those like me who have ADD/ADHD. We tend to struggle with impulsive decisions and can act before we think. I like the idea of having a written investment plan that you can refer to when you are presented with an opportunity to buy an investment or when you are evaluating whether to sell the investment. Keeps your feet on the ground. This is the central problem when we’re too close to our own investments. Dan Airely wrote in Predictably Irrational that we tend to buy more when the market is up and sell when the market is down. Precisely what we shouldn’t be doing. We are definitely too emotional when investing. You have made some very good points. As an ex financial planner I have seen the whole range of investment emotions play out in front of me courtesy of my clients. I have found that When markets are good, investors believe that any success they have had, has been completed engineered by their own ability, and when markets are bad they seem to retreat into their shell whilst blaming every one they can, except themselves. I did notice in another comment about understanding your personal risk profile can be the answer, but I can assure you completing a risk profile during a boom is suddenly disregarded during a bust for most people. Emotions play a huge role with investors, and I think it will be very difficult to be any other way. Thanks for your post I certainly enjoyed reading it. Be the first to know about all the latest topics on MapleMoney. Be the first to know about all the latest topics on MapleMoney! Our goal at MapleMoney is to present readers with reliable financial advice and product choices that will help you achieve your financial goals. To do that, transparency is critical. 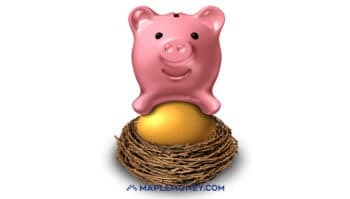 MapleMoney receives compensation from some companies issuing financial products, like credit cards and bank accounts, that appear on this site. Unless a post is clearly marked “Sponsored”, however, products mentioned in editorial articles and reviews are based on the author’s subjective assessment of their value to readers, not compensation.